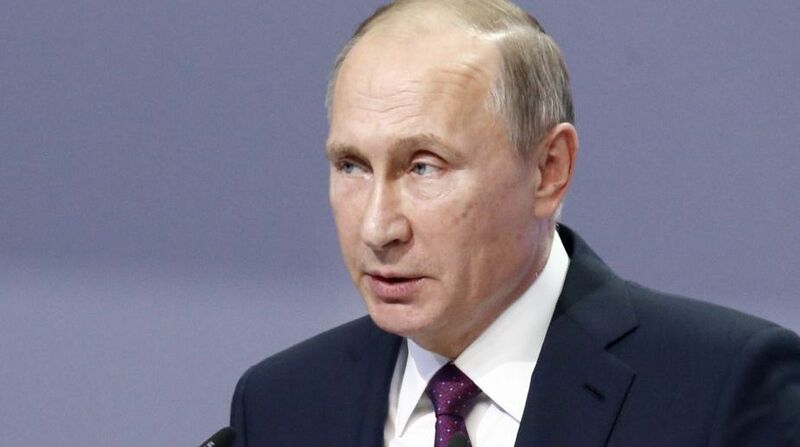 Russian President Vladimir Putin said on Monday that Britain should get to the bottom of the poisoning of former Russian intelligence officer Sergei Skripal before discussing the issue with Moscow. “Get to the bottom of things there, then we’ll discuss this,” Xinhua quoted Putin as saying. Skripal, 66, was sentenced in Russia in 2006 to 13 years in prison for cooperating with the British Secret Intelligence Service MI-6 and releasing names of Russian intelligence officers working undercover in Europe. In 2010, the former double agent was pardoned as part of a spy swap and then moved to Britain. Skripal and his 33-year-old daughter Yulia were found unconscious on a bench at a shopping center on March 5. They remain in a critical condition in hospital. Earlier on Monday, Kremlin spokesman Dmitry Peskov said the incident happened in Britain and it was not Russia’s affair at all. On the same day, British Prime Minister Theresa May said it was “highly likely” that Russia was responsible for the poisoning of Skripal and Russian Ambassador to Britain had been summoned to the British Foreign and Commonwealth Office over the case.